Though Breastfeeding is undoubtedly the best way to feed your baby, there are a few scenarios when you can consider feeding Formula Milk to them and make sure that the growth and development of your baby are not compromised. Your child doesn’t feel full after breastfeeding. You do not have enough supply of breast milk. You have a severe illness. The most important thing you should look at while choosing the Formula Milk for your child is the ingredients it is made from. Also, it is always wise to consult the pediatrician and go with their suggestion as they know your baby’s health condition best and can recommend accordingly. Cow’s Milk based Formula – Most formula milk use cow milk as the main ingredient. Soy-based Formula – This is for babies allergic to cow’s milk and lactose or whose parents are vegan. Extensively Hydrolyzed Formula – This is for the babies who are intolerant of both cow’s milk and soy-based formula. Protein hydrolysate formulas are meant for such babies as the proteins are broken into a smaller size than that of other two. Specialized Formula – This formula milk is especially designed for premature babies or babies who have low birth weight , also suggested for those babies who are have special medical condition. Nestle is a renowned brand and also trustworthy. Its Lactogen 1 is a spray dried infant formula which comes with maltodextrin and essential nutrients along with whey protein. They help in the child’s growth in early stages of life. 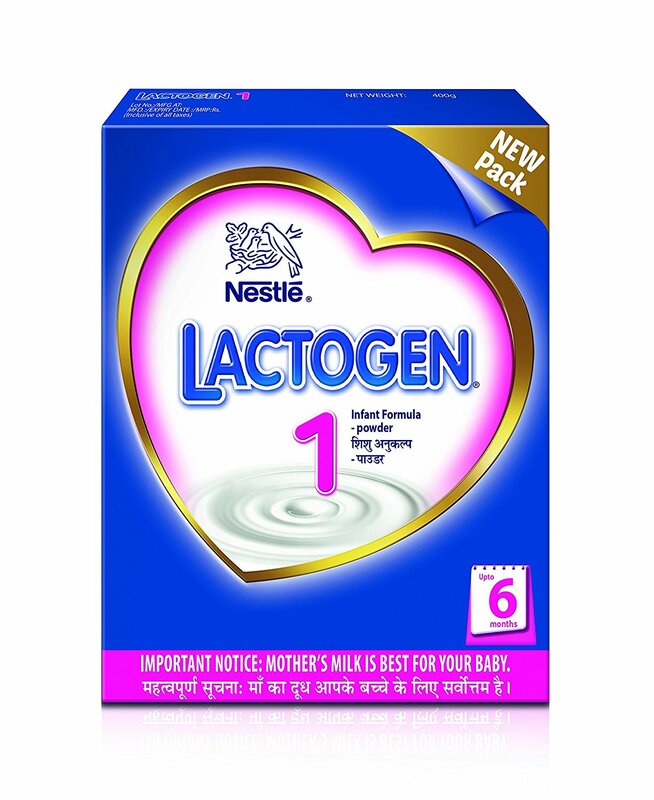 Lactogen 1 can be given to the baby up to the age of 6 months. Once the baby gets older, you can move on to Lactogen 2 and Lactogen 3. It is recommended by a lot of moms. It helps babies in their crucial years by providing an overall development and the right amount of nutrition. 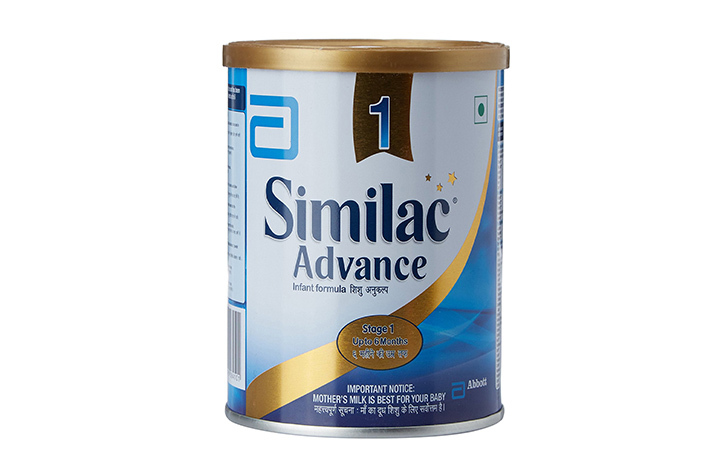 Similac Advanced Formula comes with the benefits of minerals, carbohydrates, proteins, vitamins, and omega 3 fatty acids. They are the essentials for the growth of the brain cells and also builds the immunity against diseases. They have a unique combination of OptiGro, DHA, Lutein, and Vitamin E. This helps support the baby’s overall growth, brain, eye, and immune system development. This makes Similac Advanced very close to the breast milk and is highly recommended to the formula feeding moms. 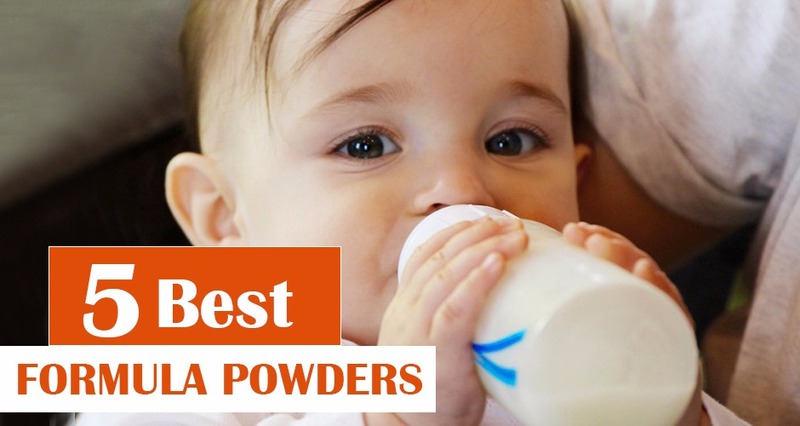 It also contains DHA/RHA which are naturally found in breast-milk which makes it very close to breastmilk and is highly recommended to the formula feeding moms by doctors. This is especially made for premature babies who are born before 37 weeks or have low birth weight (less than 2.5 k.g.). 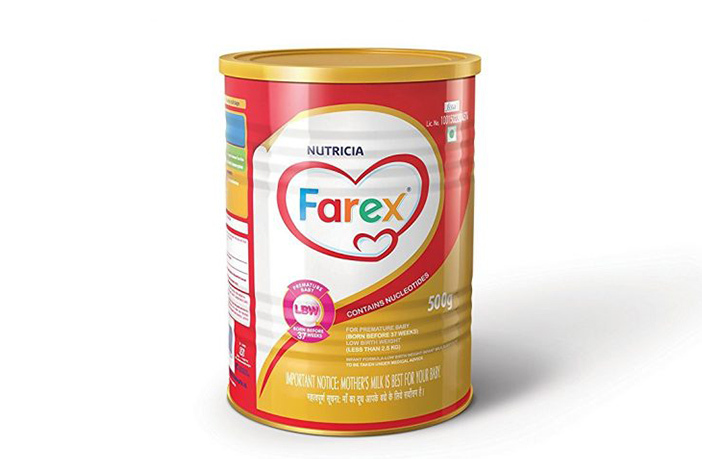 You can feed breast milk and supplement it with this Farex Formula to provide an overall growth to the baby. Farex is enriched with essential vitamins, minerals, and proteins. Presence of Omega 3 & 6 fatty acids helps in brain development of the baby whereas Nucleotides and Zinc help support immune function. It’s a great choice for premature babies. It provides the required nutrition and helps the baby to gain weight. This spray dried infant formula also comes from the house of Nestle and comes with immunoproteins, fatty acids, and pre­blend nutrients. 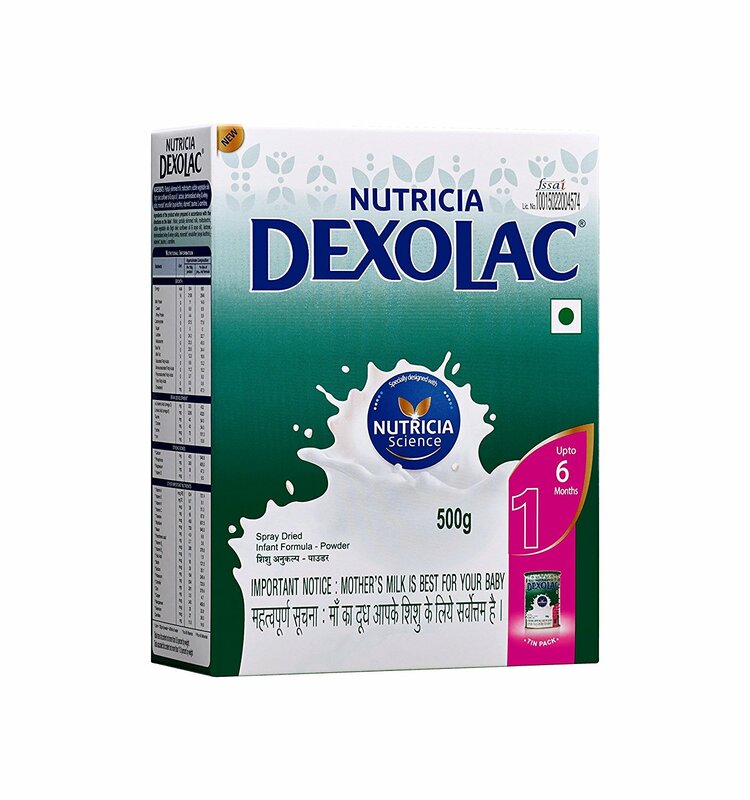 It also contains B.lactis which is a probiotic culture that helps in increasing the number of bifidobacteria in the gut flora of infants which helps in fighting with colic problems of a child and could be a great relief. 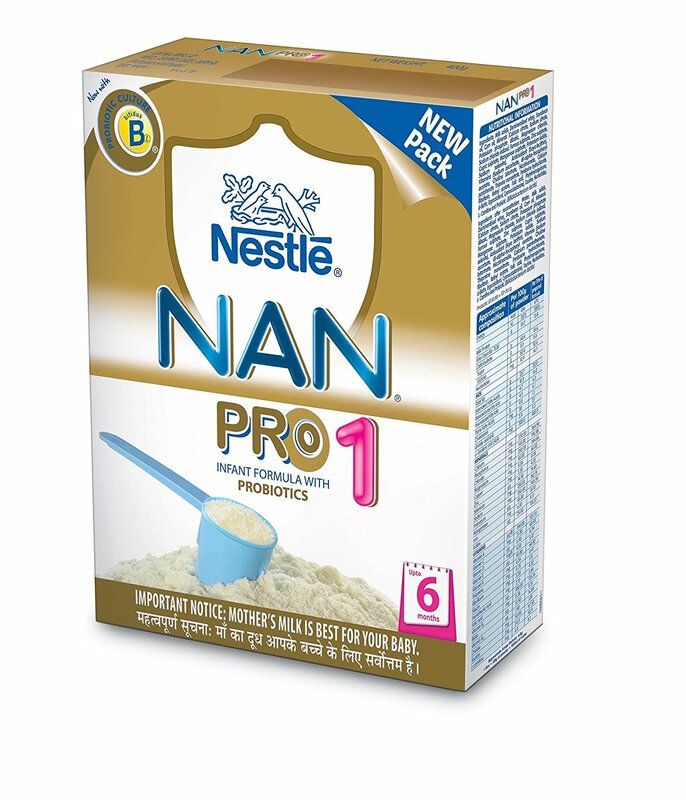 The NAN Pro is a vegetarian product. It is very close to breast milk. It contains B.lactis probiotics culture which helps fight colic problems in babies. Dexolac contains nutrients and higher levels of lecithin and amino acids that provides an overall growth, support development of the brain and strong bones to the child. It also includes easy to digest whey proteins and delivers optimal iron that may help prevent anemia in babies. It helps increase immunity in babies. Feeding bottle/bowl/spoon should be washed and sterilized. Boil drinking water and cool down until lukewarm. Pour the formula milk powder as per the instructions on the feeding table. Shake or Mix to dissolve the powder. Each baby is different so don’t get surprised if your baby doesn’t respond well to the best selling or most liked formula milk. If you notice that your baby is not comfortable after the feed and forms gas or gets colic, make sure your pediatric know about the formula you are feeding to your child. Do not switch between different formula milk too frequently especially when the ingredients in them vary a lot. Make sure you are feeding the formula milk made for your child’s age group only. Always check for the expiry when buying the formula milk. Also, use it within the suggested number of days. Though these Formula Milk options have a lot to offer to a baby, breastmilk should be the first choice. However, if you decide to complement your child’s feed with a formula milk along with the breastmilk or only bottle feed her, take the doctor’s advice first. Want to share your mommy experience with other moms through words or images? Become a part of the Moms United community. Click here and we will get in touch with you.